Academic Planning at Stanly Community College is completed through the Student Planning feature in Self-Service. Students can log into Self-Service using their SCC student username and password, and then select Student Planning. From there, students gain access to planning and registration. It is also used as a tool for advisors to communicate with their advisees, and it offers a course approval process for students who have earned less than 30 credit hours at the College. Please use the information below to learn more about Academic Planning at Stanly Community College. 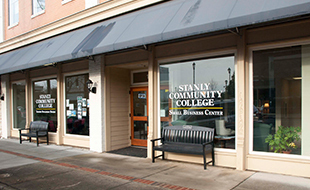 Stanly Community College follows the Reinforced Instruction for Student Excellence (RISE) developmental education program for placement into gateway English or Math courses either with or without a co-requisite. See our Resources for RISE page on the college website for more information. 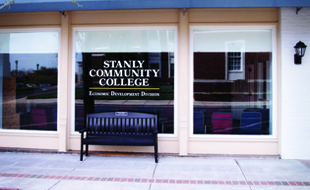 The College Catalog offers information pertaining to the programs offered at Stanly Community College. It also includes student policies and procedures. Please select the College Catalog from the Current Students tab above. Career & College Readiness – The College & Career Readiness (CCR) Department offers programming for literacy education. Literacy education includes Adult Basic Education (ABE), English as a Second Language (ESL), and Adult Secondary Education (ASE). Adult Secondary Education includes the Adult High School Diploma program and the High School Equivalency (HSE) Diploma program. For more information, please select the Career & College Promise link from the Future Students drop-down menu. Curriculum Program – A curriculum program is an organized sequence of courses leading to an associate degree, a diploma, or a certificate. For a list of our curriculum programs, select the Educational Offerings link from the Future Students drop-down menu. Associate Degree – a planned program of study culminating an Associate in Applied Science (AAS, 64-76 total credit hours), Associate in Arts (AA, 64-65 total credit hours), or an Associate in Science (AS, 64-65 total credit hours). Typically takes 2 years to complete. 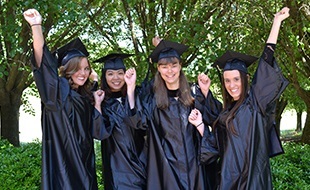 For a list of our associate degrees, select the associate degree checkbox on the Educational Offerings page. Certificate – The certificate programs are designed to lead to employment or to provide skills upgrading or retraining for individuals already in the workforce. Certificate programs consist of between 12 to 18 total credit hours. Typically takes 1 year to complete. For a list of the certificates we offer, select the certificate checkbox on the Educational Offerings page. Continuing Education – Continuing education courses include topics designed for specific purposes in job placement, current employment, or personal development or interests. These courses include occupational extension, community service, basic skills, customized training, and human resource development. Please note that continuing education courses are not eligible for Federal Financial Aid. For more information regarding our Continuing Education courses, select the Continuing Education link from the Future Students drop-down menu. If you have more questions, please contact your Academic Advisor or the Eagle’s One Stop. The Eagle’s One Stop can be reached at (704)991-0123, onestop@stanly.edu, or on-campus on the 1st floor of the Patterson Building, Room 116.